Welcome to Music School To Go! We are a Conejo Valley music school offering high quality private music lessons in Thousand Oaks for kids and adults in the comfort of your own home. For a complete list of the cities in which we teach, click here. At Music School To Go, we offer fun and interactive private music lessons in your home by highly qualified and experienced music teachers. Our mission is to inspire passion, creativity and a deeper enjoyment of music in all our students. Music lessons for beginners is our specialty. 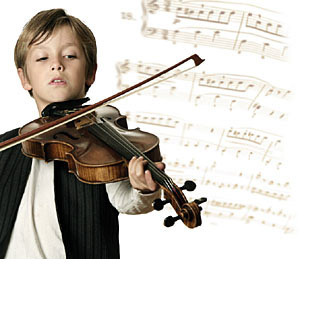 We also specialize in music lessons for kids. Guitar lessons, piano lessons and voice lessons are our most popular options. Music lessons are offered in 30 minute, 45 minute and 60 minute blocks. This makes making lessons the perfect length for each student based on their age, attention span and skill level. All lessons are customized with personal lesson plans according to each student's area of interest and skill level. Lessons include all the fundamentals of music, and our teachers always end each lesson with something fun such as your favorite song or riff. The main reason to learn music with us is our oustanding music teachers. All of our teachers have received their music education from prestigious institutions such as Berklee College of Music, New England Conservatory of Music, and Wyndham Academy of Music, just to name just a few. Not only are our instructors highly qualified, experienced and talented, they are passionate about teaching and truly know how to explain concepts and enjoy music with students of all ages and levels. 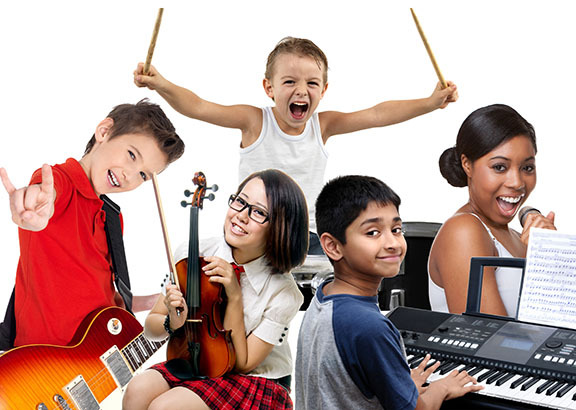 At Music School To Go, your child receives high quality music education by professionally trained instructors who know how to motivate you to learn quickly while having fun. When you choose in-home lessons, you are choosing the most efficient and convenient way to bring music into your child's life. It's your music, on your schedule at a time that works best for you. When you sign up for lessons, one of our highly qualified, talented and friendly teachers will come to you. We'll carefully custom match you with the right teacher for the best private music lessons experience. You'll instantly click with your instructor and be on your way to making great music with the best teachers! We teach the beginner, intermediate and advanced students of all ages. Our students are from all over the Conejo Valley, including Thousand Oaks, Lake Sherwood, Newbury Park, Westlake Village, Oak Park, Agoura Hills, Calabasas surrounding areas. We believe it's never too early or too late to start music lessons. Every parent wants to know how their child is doing and whether they are progressing. The best way to understand if your investment in lessons are really worth it, is to have your child participate in a recital. Music School To Go offers two fun low-key music recitals each year. All students are encouraged but not required to participate. Recital opportunities are not only fun, they allow family and friends to see students' progress and expose them to new musical styles and instruments. The recitals also help students stay motivated and to practice more. These music recitals are free for our students, and we do not charge for recital participation or admission fees. All students are on a month to month basis, and you are under no obligation to enroll for any “set” period of time. We do not require registration fees or long-term commitments. You can begin whenever you like and discontinue at any time. We believe that student-teacher compatibility is critical to the success and enjoyment of lessons. We're sure you'll be 100% happy with your instructor. If, for any reason, you are unsatisfied with your teacher, we will match you with the right fit and transfer you to another teacher who will meet your specific needs. Whether you are a beginner, intermediate or advanced player, we have a friendly highly qualified music teacher in Thousand Oaks, CA ready to help you learn. We have been serving families in and near Thousand Oaks, CA and surrounding areas since 2004 and hope that your family will be the next to join our Music School To Go family! Want to schedule a lesson? Music School To Go offers instruction in piano and keyboard, guitar, voice, violin, ukulele, flute, drums and more!